One important item we need for the home is a stove or even a fireplace. These items are a good source of heat and would make the home feel warm especially during cold days. But these days, there are different kinds of stoves and fireplaces already. As a matter of fact, not just the source of heat and function differs but even the design of the stoves. Well, you just have to choose which one fits your budget as well as your usage. Today, we are going to show you a stove that isn’t just a stove but can also double as a furniture. 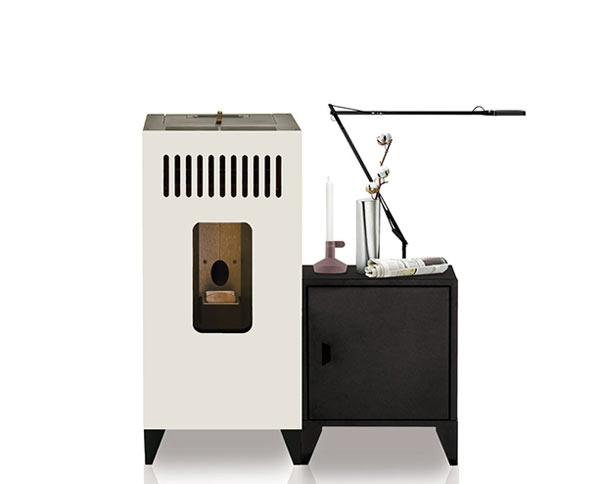 We are talking about the MIA pellet stove. 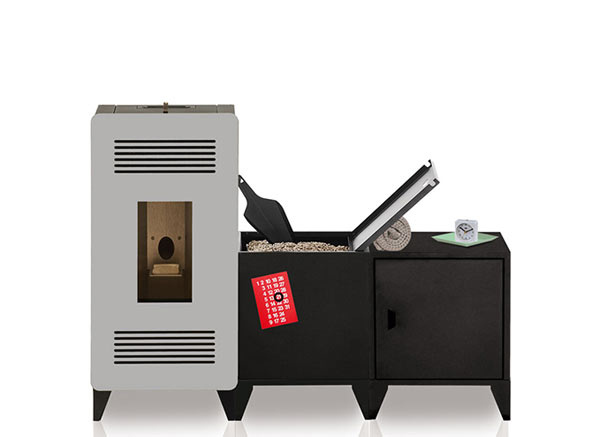 Aside from being a pellet stove, it can be turned into a modular piece of furniture. It has a built-in, permanent stove or fireplace in it. Along with the stove is a pellet container, shovels, cabinets and a handrail. The stove isn’t just focused on the technology for the stove to be functional. But it also considered the look of the stove so it will be a lovely item even for modern homes. 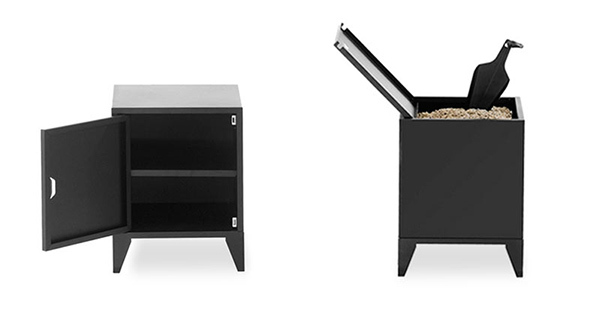 Let us take a look at the MIA modular pellet stove below. This is the stove or fireplace in orange color. It would be a pretty piece in your home whatever is your interior’s style is. Look! The stove comes with these dark gray cabinets that you can add in your space. Aside from the orange stove, there is also a silver stove available. When you take the pellets and put in the stove, you use this stylish scoop to do it. 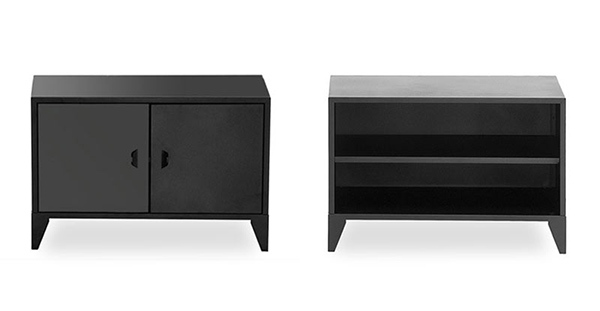 The cabinets are available in different designs. There is one with open cubbies while there is another with cabinet doors. A smaller cabinet with doors is also available as well as a cute storage for the pellets that can be attached to the stove. This is how the stove looks like with the cabinet attached to it. It is also available in white color. I am not certain if you can also choose the colors you want for the stove and cabinets. And this is how it looks like when the pellet container and cabinets are attached to it. 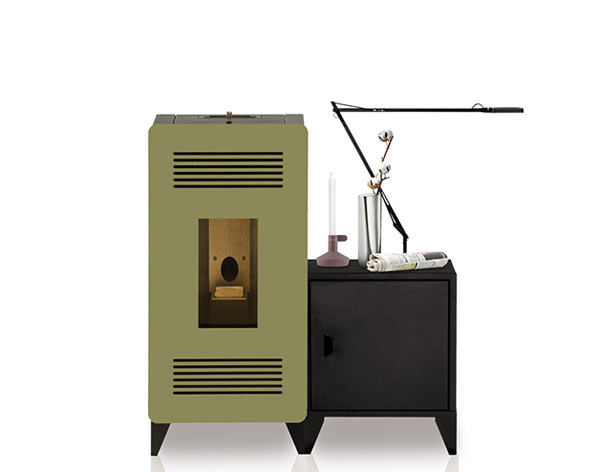 Sara Ferrari designed the pellet stove for Italian manufacturer Olimpia Splendid. Her design of MIA has a personality – and is fully customizable to your home and needs. Isn’t it amazing and lovely too? If you think that pellet stoves are ugly, this design by Ferrari will change the way you look at them. I am sure you would find it very cozy to have one because the family can gather together around MIA while keeping warm and having a chitchat. Isn’t it nice that even a stove can be modular too?